Today, members of the military and their families will be honored for their service at Veterans Day events in the Bay Area. 10:15 a.m. San Jose Mayor Sam Liccardo and Santa Clara County Supervisor Dave Cortese will launch a countywide campaign to end veteranhomelessness by 2017. Followed at 11 a.m. by a Veterans Day commemoration and a parade at noon. Plaza De Cesar Chavez Park, Park and Market Streets, San Jose. 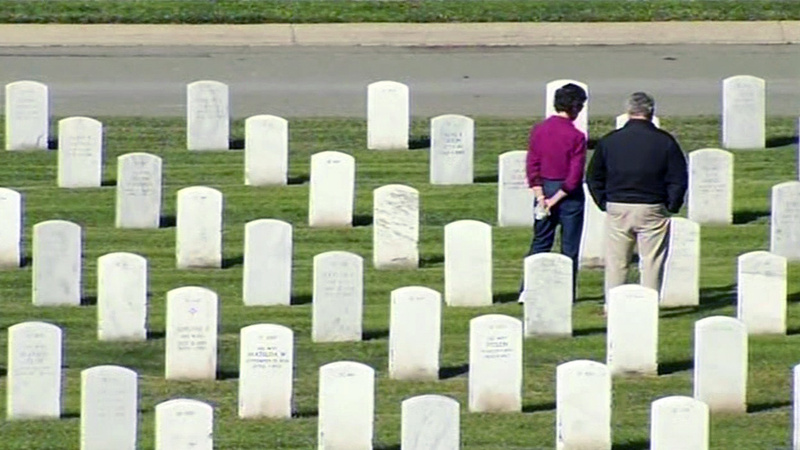 10:30 a.m. Veterans Day observance at the Golden Gate National Cemetery. Center of the Cemetery on Nimitz Drive, within the cemetery, 1300 Sneath Lane, San Bruno. 11 a.m. Cupertino Veterans Day ceremony. Memorial Park, Mary Avenue and Stevens Creek Boulevard, Cupertino. 1 p.m. Petaluma Veterans Day parade and flyover. Parade begins and ends at Walnut Park, Fourth and D Sstreets, Petaluma.